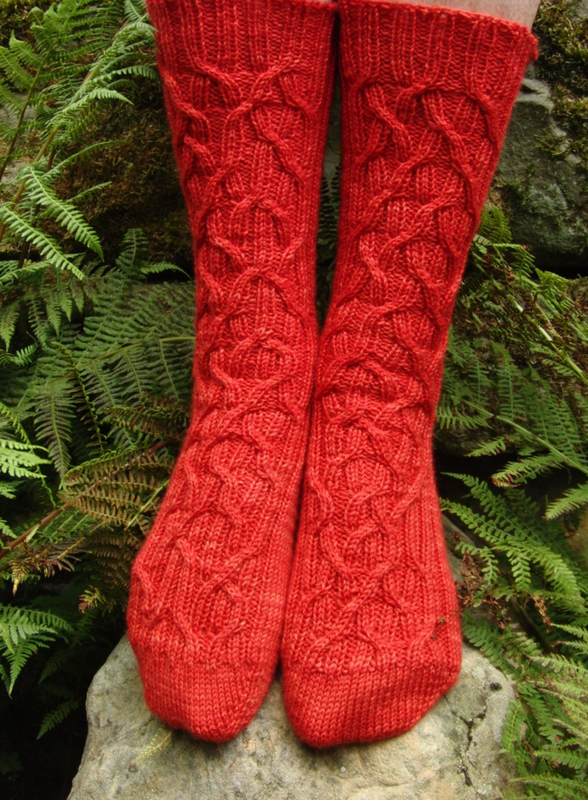 I am pretty amazed by myself, but indeed, I managed to knit all of the Tour de Sock patterns this year. The last pattern is Entanglements by Shayla Myst and her inspiriation were the creeping vines that seem to have no path in mind as they grow. The placement of the cables were set by a dice, to see which vine forms a cross and a coin to figure out which way the vine was to go. How fun! My socks turned out pretty long, so I will store them in my wardrobe next to my longies - I know there'll be days in winter when I am happy I can wear them when we go to the stadium to root for our team.